To make its snow plows more visible during blizzard conditions, the Iowa Department of Transportation embarked on legislatively approved pilot project three years ago to add rear facing blue and white lights to the already existing amber-colored lighting systems on about 200 of its snowplows in central Iowa. The agency noted in a recent blog post that the addition of blue and white lights helped reduce rear-end and side-swipe crashes with motorists from between 14 and 15 incidents per winter operation season to between four and six incidents. “Our proposal was to create a lighting scheme that isn’t found on any other vehicle,” noted Tina Greenfield with Iowa DOT’s maintenance office, in a statement. “Making our snowplow trucks as visible as possible is a major focus during a winter storm,” added Craig Bargfrede, Iowa DOT’s winter operations administrator, in a statement. With the proven success of the pilot project, the Iowa DOT said it is now finishing installation of the new blue-white-amber lighting package on all of its 670 snowplow trucks at a cost of roughly $500 per vehicle or $335,000 for the entire fleet. 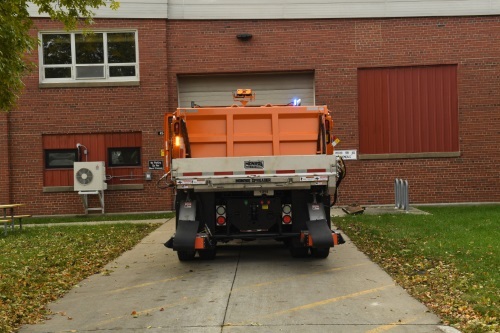 The agency added that the cost of adding the new lighting system to its snow plows is less expensive than the average cost of repairing equipment most often damaged in rear-end and side-swipe collisions, with crash-damage to salt spreaders averaging between $2,000 and $3,000, with wing plows averaging $5,000 to $10,000.